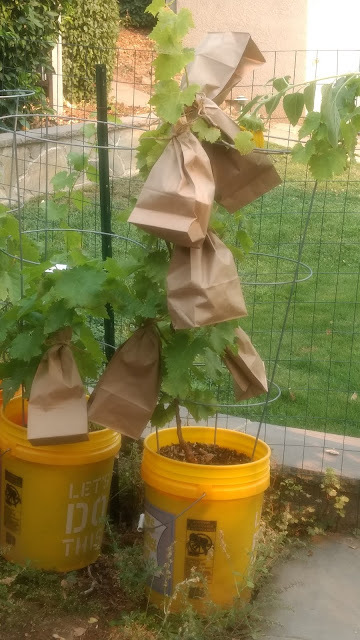 The foolproof solution to preventing the birds from eating any more grapes is.... paper bags. 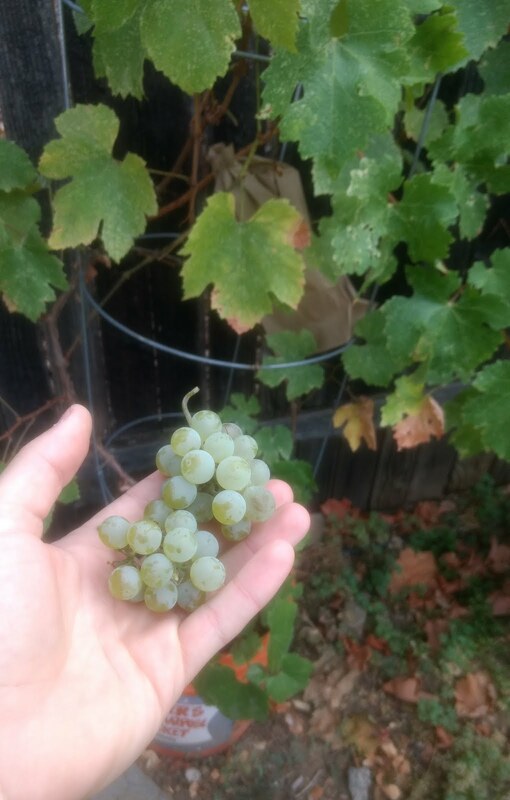 Covering all the remaining grape clusters with paper bags will prevent the birds from consuming any more grapes. 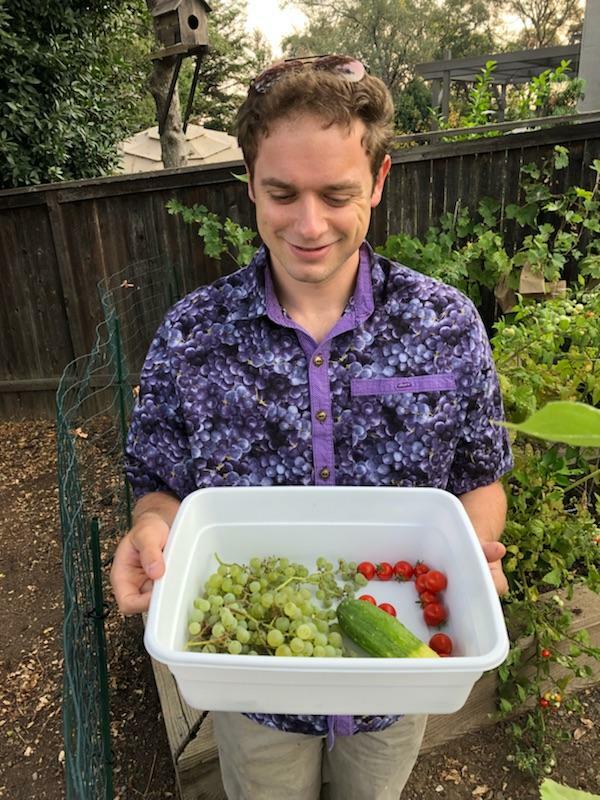 The birds aren't talented enough to peck their way through the bags, nor will the bags affect the grapes from ripening. I underestimated the number of clusters present on all the plants, but luckily paper bags are cheap. 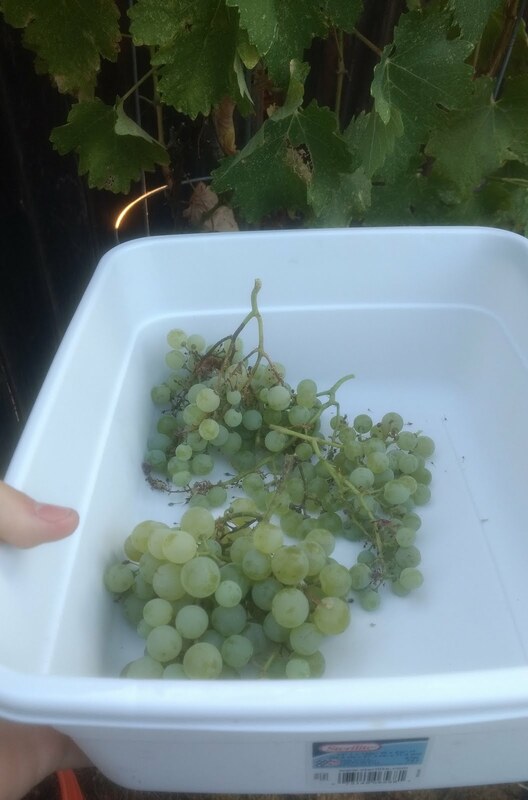 Managed to also pick one of the Chardonnay clusters due to the bagging limitations. Returning a few days later, I harvested the two plants I had designated at my pre-bird attack inspection: the Symphony and the Chardonnay. 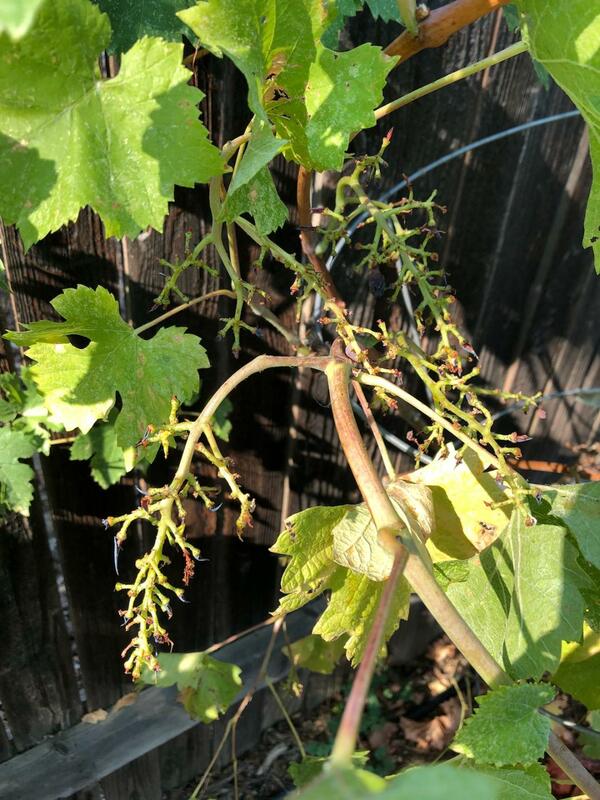 These grapes will be destined for consumption as food as the quantity is insufficient to make wine. 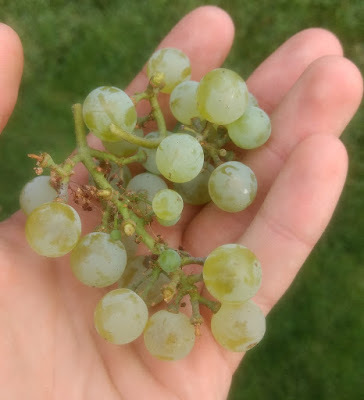 They are very sweet and tasty though! Stay tuned as the remaining reds will be ripening up by the end of the month.